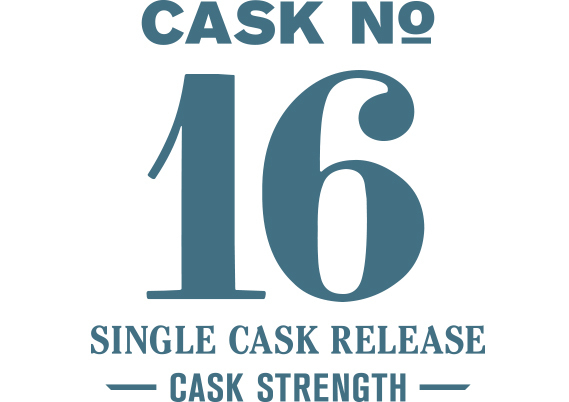 At over four years in wood, Cask #16 was the oldest whiskey released by the distillery at the time. What makes this a noteworthy whiskey however is the type of wood it spent that time in. This cask is a species of Hungarian oak that was first used to mature port by Whidbey Island Distillery. The character of the luscious fortified wine that once called this cask home conspires with our signature 5-malt grain bill in a completely new way and its impact is immediately apparent. This whiskey has a lot to offer making it really fun to explore. The nose is amazingly complex with a wide array of notes. From sweet and rich notes of honey, oatmeal cookies, blackberry compote, maple syrup, muscovado sugar, orange peel, and prunes to rare aromas of dill, caraway, black currant, sweet grass, toasted almonds and wool. The black currants are notably heightened on the palate but the whiskey doesn't lose it's sweet charm with devil's food cake, bittersweet chocolate and a pleasant nuttiness keeping it well balanced.